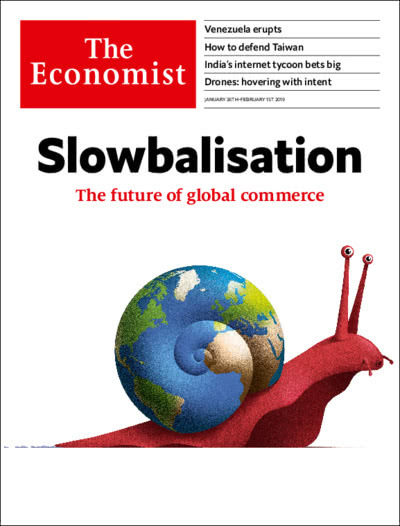 Our cover this week looks at a new pattern of world commerce, which we call Slowbalisation. In the past decade globalisation has decelerated from light speed to a snail’s pace. The cost of moving goods in ships and planes has stopped falling. Multinational firms have found that global sprawl burns money and that local rivals often eat them alive. Activity is shifting towards services, which are harder to sell across borders. As President Donald Trump pursues his trade offensive, commerce and investment are suffering and rules on data and privacy are splintering. Slowbalisation need not be a disaster, but it will be meaner and less stable than its predecessor. I hope this is the only thing you’ll read online today. I’m kidding. I know that’s not realistic. 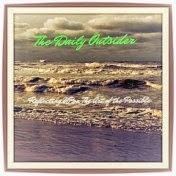 And yet the drumbeat is growing louder for more quiet in our digital lives. The signal has become so drowned out by the noise that all our newfangled digital obsessions are becoming more hazardous than we ever expected. The issue, of course, isn’t meditation, but the monsters. I like to start my day drinking coffee and reading print newspapers—knowing I’ll be online the rest of the day. I don’t use Facebook anymore and have cut way back on Twitter. I still feel well informed. And the monsters are still there. If you need convincing, read this wonderful Wall Street Journal interview with academic Cal Newport, who has made a career of avoiding social media. He makes a brilliant point in response to the fear of losing track of old friends. “This idea that it’s important to maintain hundreds or thousands of weak-tie connections” is recent and untested, he says. (In fact, Dunbar’s numbersuggests the true limit is about 150.) Refraining from social media just might enhance your real relationships. It is a time of tumult. Twitter is the favorite tool for insult by the president of the United States. “Content” thrives while journalism suffers. Still, this really smart piece made me wonder for the first time if “service” publications like Better Homes and Gardens or InStyle, to choose two owned by Fortune’s erstwhile owner, Meredith Corp., might be threatened most by the trend, not serious news publications. Brands can publish “content” that’s as good as top magazines; they aren’t likely to turn to serious news, analysis, and criticism, whose publishers are pivoting away from advertising and toward subscriptions. Anyway, thanks for listening. I’ve got to check my email now.